An Uptown man who was accused of kicking his elderly dog and throwing it down a set of stairs this summer has been found not guilty in a bench trial overseen by Cook County Judge Anthony Calabrese. The victory for the owner comes two months after the case was thrown out because the state’s attorney failed to show up for a court appearance, records show. Calabrese reinstated charges after the prosecutor claimed to have entered the wrong date on their calendar. In late July, a Chicago police animal crimes team went to Anthony Mazur Jr’s home in the 800 block of West Sunnyside to investigate a complaint. A neighbor gave the cops video and told officers that he saw Mazur kick his aging Dalmatian—Shar Pei mix in an alley until the dog relieved himself, police said. The witness told police that Mazur then threw the animal, named “Jake,” down several stairs near his back door. 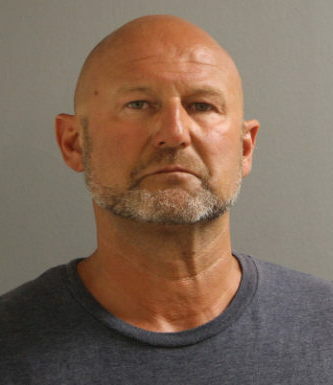 When an investigator asked Mazur why he would kick his elderly, dying dog, Mazur stated that he was recovering from a medical condition and was "sad to lose the dog….There’s no excuse,” police said. But on September 19, Calabrese threw the case out because prosecutors failed to show up in court, records show. Four days later, the state filed a motion asking Calabrese to reinstate the case because they entered the wrong date in their schedule. Calabrese agreed. On Wednesday, Mazur waived his right to a jury trial and put his fate in the hands of the judge. Calabrese found him not guilty on both charges: cruelty to animals and violation of animal ownership duties. Jake was taken from Mazur's care and was subsequently put to sleep due to poor health conditions, according to a person familiar with the case. Mazur’s other dog, Oakley, was returned to his care in October, according to court records.